Several years ago, when the iPhone was a mere twinkle in Steve Jobs’ eye, Motorola launched an iconic new handset called the Razr. It was startlingly thin for a mobile, looked absolutely incredible and was soon the number one handset for any self-respecting gadget lover, celeb or fashionista. But within a couple of years the Razr had become the uncoolest phone on the planet. Motorola had made so many of them and offered it in so many different guises that gadget-lovers, fashionistas, celebs and quite possibly your grandmother had moved on. So why am I mentioning the Razr now? Well it is clear that Apple has a very aggressive strategy for its handsets and that means it is offering the 4S (which to be honest doesn’t look like much of leap forward), along with reducing the price of its older handsets, in a bid to expand its reach. 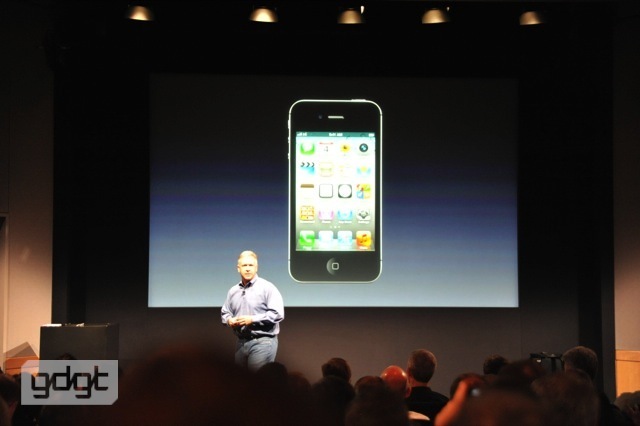 I just wonder if the iPhone, like the Razr before it, might just become a little too ubiquitous. In some ways this is a strategy that Apple has to adopt. It is starting to feel the pinch from low cost, but better specified than the iPhone, Android models and will soon be contending with Nokia Windows handsets that may turn out to be a lot cooler than most of us are expecting. But I do think that when everyone on your bus has an iPhone, and I mean if you live in Northampton rather than North London, the phone itself might start to feel a little uncool. Of course Apple has been here before with the iPod. Over its existence it went from the preserve of Apple fanboys to a music player that almost everyone in the UK seemed to have. Did it ever become uncool? Well kind of. The difference between the iPod and the iPhone is that the iPod never really had any serious competition (except maybe in its early days from Sony). If the iPhone ever becomes the handset of choice of your grandma then you have lots of other places to go. This has already happenned a little in the UK with the rise of the Blackberry among young urban kids. There are many reasons why kids lust after Blackberrys rather than iPhones, but the fact that the iPhone has become so ubiquitous among their peer group has clearly helped sell a few devices for RIM. The reason why Apple execs probably aren’t too worried is that the iPhone app market is still so far ahead of its rivals. Also I think this might be the last time we see a minor tweak to the iPhone. You can bet on some serious surgery next time (like the move from the iPod classic to the touch) or else that device will start to look a little passe.